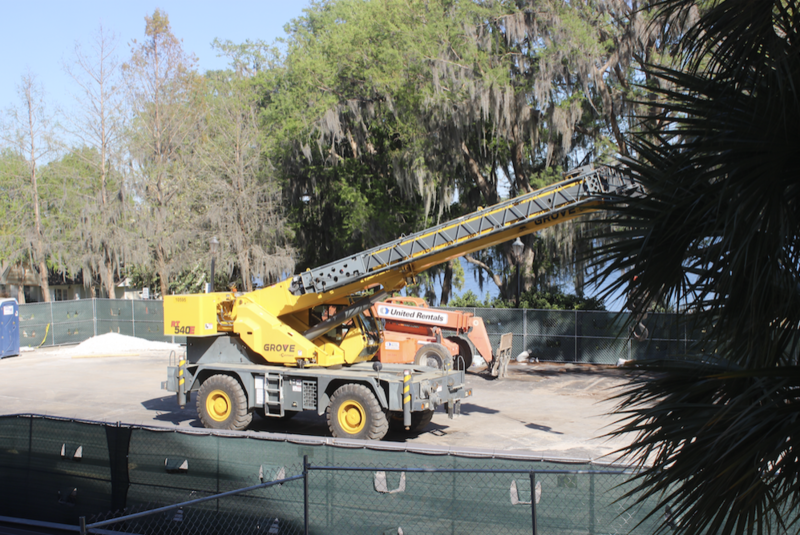 Facing increasing complaints about accessibility on campus during the ongoing construction, Accessibility Services offers a bold solution: providing personal bulldozers to students with physical disabilities, courtesy of Rollins Capital Projects. The idea originated in a completely unrelated meeting, where administrators were discussing the idea of increasing the number of gender-neutral restrooms at Rollins by installing Port-a-Potties at strategic locations around campus. That plan was scrapped, but Director of Construction Ronaldo McDonado felt that current students still deserved to benefit from the school’s $85 million construction budget to make up in some way for all the inconvenience caused. Students interested in applying for a bulldozer must submit an online form, available through the Rollins Accommodate website. In addition to the form, students will need to submit a recent doctor’s note and a letter of recommendation from a faculty or staff member outside the Accessibility office. Lastly, all students will be required to pass a driving test, administered by Campus Safety on one of the available golf carts. A valid driver’s license is not required. After completion, students will be able to choose between the CAT D6K2 and D102T bulldozer models. Since this is a pilot program, Rollins only has one of each model currently available for students. However, if Rollins discovers that more than two disabled students are in need of mobility aids, they plan to rent a third bulldozer. No plans exist for more than three bulldozers at this time. “We have a lot of money, and I really mean a lot of money, but we can’t just do this for every student who wants or even needs a mobility aid. Most of our budget is already being put towards live dolphins for the new lakeside pool,” said McDonado. The announcement has already created a lot of buzz on campus. Some students, like King, are excited, but others think the plan is solving a nonexistent problem. April Fools! The content in this article is meant to be read in satire and does not represent the opinions of The Sandspur, its staff, or Rollins College.